You can’t beat zee Germans. GERMANY IS EUROPE’S number one automotive market in production and sales terms. Almost 20 per cent of all new car registrations are of German cars, so the Germans know a thing or two about making motors. So if you fancy driving a German great, take a look at our five Teutonic offerings which are available to buy on DoneDeal right now. The BMW 6 Series Gran Turismo is a four-door GT styled like a coupe but with a practical hatchback boot. The boot can hold 610 litres when the rear seats are in place or a massive 1,800 litres when the rear seats are tumbled – making it a very practical family car, that just happens to go really really fast. 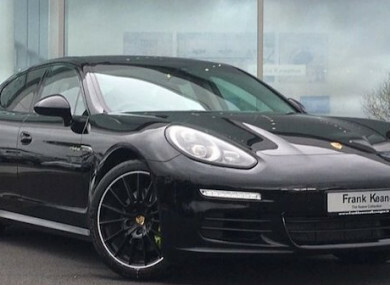 The Porsche Panamera is sporty as well as practical as it is a sports car and luxury saloon rolled into one. It is also the first plug-in hybrid from Porsche. The all-wheel drive car has a combined output of 680hp and can return 2.9 litres/100km with CO2 emissions of 66g/km. This is the rough-and-tumble ‘Allroad’ version of the Audi A4 Avant. Basically, it gets some extra body cladding, quattro all-wheel drive and a raised ride height and it becomes a more rugged ‘soft-roading’ estate car. It is also a dream to drive and extremely comfortable and refined no matter what road surface you take it on. The Mercedes-Benz E-Class luxury saloon is powered by an all-new four-cylinder turbodiesel engine, which is highly efficient and commendably quiet in operation. The E-Class also handles brilliantly when pushed hard and out on twisty roads making it good fun to drive. The Volkswagen Arteon is a four-door coupe which is positioned above the Passat model making this Volkswagen’s flagship car. The fastback-style rear has a large opening hatch for easy loading of items into the boot which has a capacity of 563 to 1,557 litres. This is one car that is beautiful as well as practical. Email “5 great German cars for a range of budgets”. Feedback on “5 great German cars for a range of budgets”.